Opened last month, this weekend’s Track World Cup is the first international meeting to be held at Glasgow’s Sir Chris Hoy Velodrome. 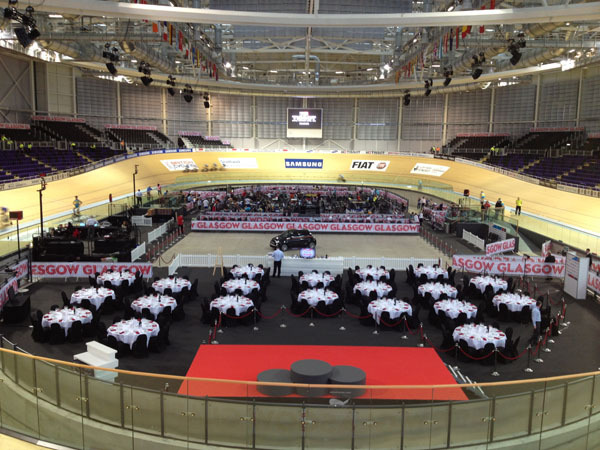 Cycling Weekly assess Britain’s newest track cycling facility. Forming part of the impressive, multi-purpose Emirates Arena, the Sir Chris Hoy Velodrome cost £113m to build. From the outside it looks modern, if not as striking as London’s “pringle”, but far more aesthetically pleasing than its equivalent in Newport. 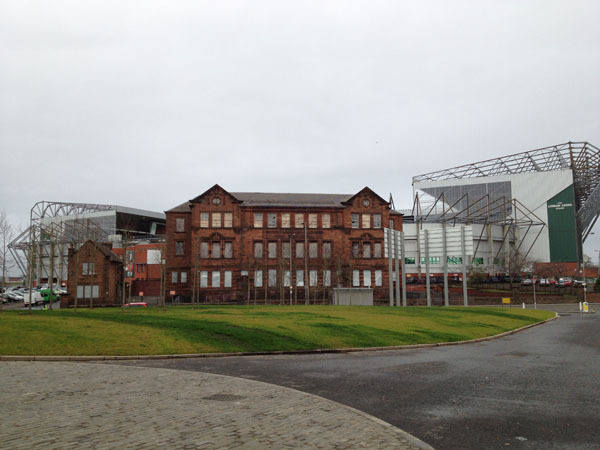 Situated across the road from Celtic Football Club’s Parkhead Stadium, the Arena stands out just as much as the iconic football ground. Situated to the east of Glasgow city centre, the best access appeared to be by public transport. A free spectator shuttle bus service will be provided for the three days of competition. There was no spectator parking allowed on site, and one of the main access roads into the facility was closed. 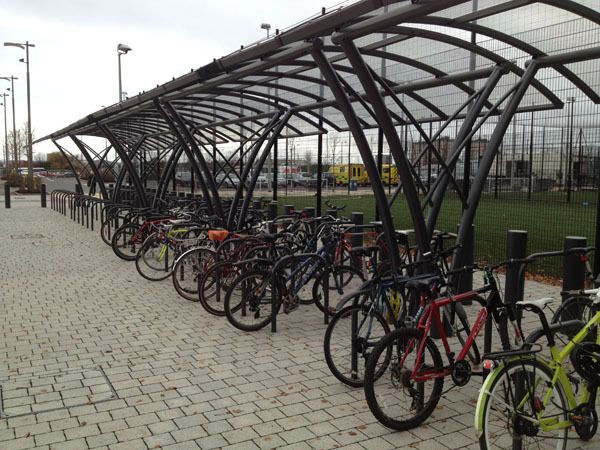 Thankfully there were bike parking spaces, although when CW checked during Friday morning’s session, not too many people had travelled on two wheels. With 2,000 temporary seats installed for the event to sit alongside the same number of permanent places, the noise levels were as loud as you would expect. Those seats installed for this meeting have come from London’s Olympic Velodrome. By and large, the permanent seats in the Velodrome offer a clear, unobstructed view of the track. 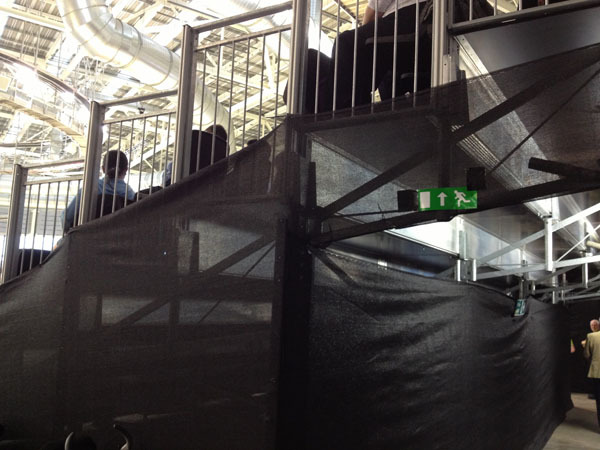 However, some seats situated on the bankings and those temporary places installed for the Track World Cup are not perfect, with riders likely to disappear for a few seconds before coming back into view. The picture below shows the view from the front row of a seat situated at turn two. A video screen is positioned at each end of the track; during the racing one acts as a scoreboard. Annoyingly, live video was not shown throughout the session. The sound quality also left something to be desired, too, with acoustics inside meaning the commentary was somewhat muffled. 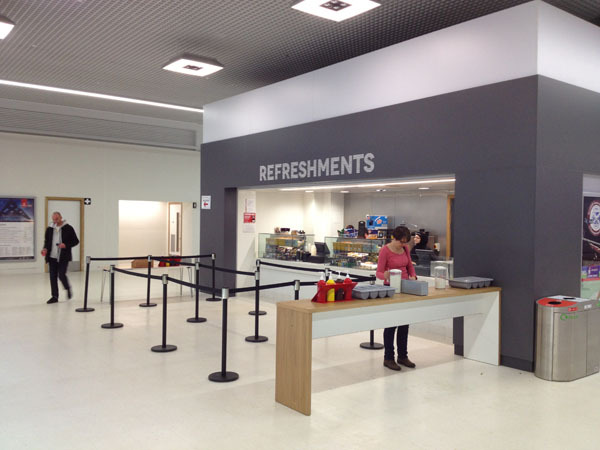 This comes in the form of three large stands, all offering a fair selection of food and drink. With the facility forming part of the multi-purpose Emirates Arena, there are plenty of vending machines selling sports-related drinks and snacks too. Plenty of these inside the venue, including some handily placed on the concourse adjacent to the start/finish line. £5 for a 68-page, football game-style guide. Lifts, toilets and viewing positions on both bankings make the venue accessible for wheelchair users. Situated in track centre, those who paid for the wine and dine experience were situated in track centre. They enjoyed a good view of the action, in particular turns one and two, and the podium. 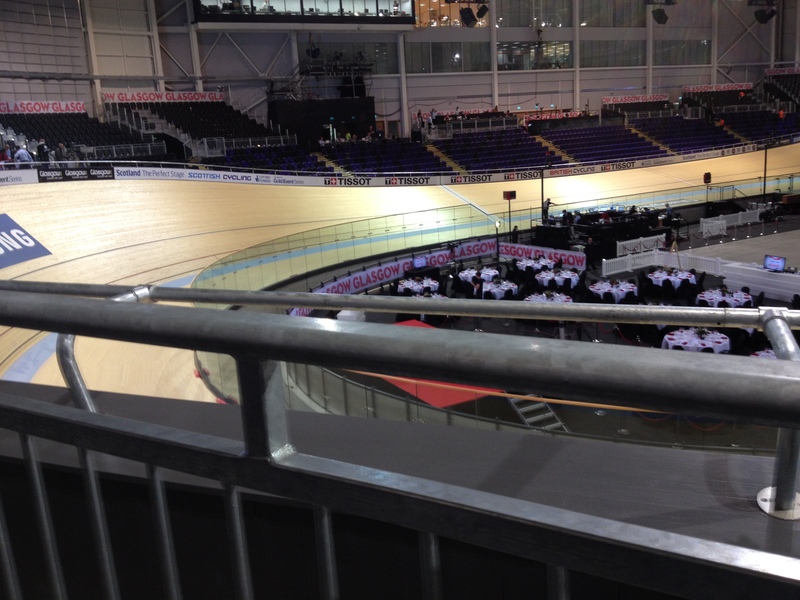 There can be no doubts that the Sir Chris Hoy Velodrome is a very good venue for track cycling. 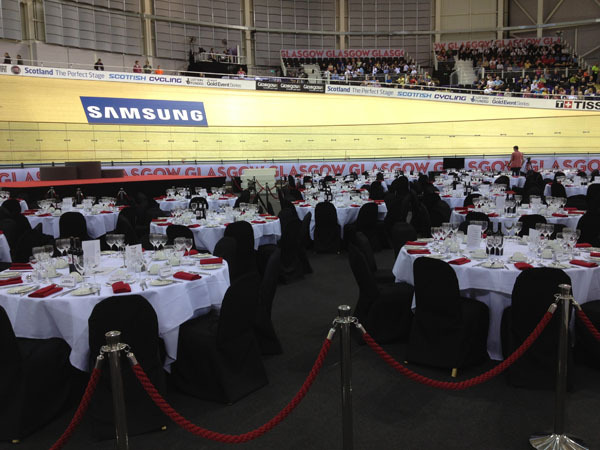 Because London’s Olympic Velodrome has raised the bar to new levels, it’s perhaps unfair to compare the two facilities. That said, this is a more than welcome addition to the ever-growing list of British Velodromes.